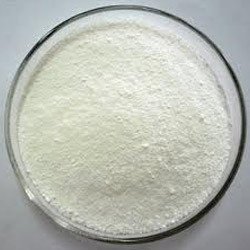 We are the best provider of 5 - 6 Dimethoxy 1 Indanone which is a highly reactive chemical used in several industrial works. These are supplied for making medicines and other essential laboratory works. Our products are highly appreciated by our clients and are supplied all across the world. These are well tested, safely packed and are provided at reasonable price range. Established in the year 2008, P.C. Chem India is a highly recognized Manufacturer, Exporter, Supplier, Distributor, Wholesaler and Importer of Specialty Chemicals, Laboratory Chemicals, Chemical Intermediates, Organic Chemicals and Metallic Compounds. With our wide industrial exposure, huge business contacts and reliable vendors, we are able to formulate highly reactive products. We offer a wide array of chemicals under development, which are highly used in the research works and other drug processes in the pharmaceutical sectors. With our corporate office located in Mumbai, we supply our products to various regions of the world. Our gained domain expertise, help us to provide an exquisite range of Specialty Chemicals at beneficial price range.